Designs by Lisa Somerville: New from Kitchen Sink Stamps - New Stamps, a Sale and Giveaway! 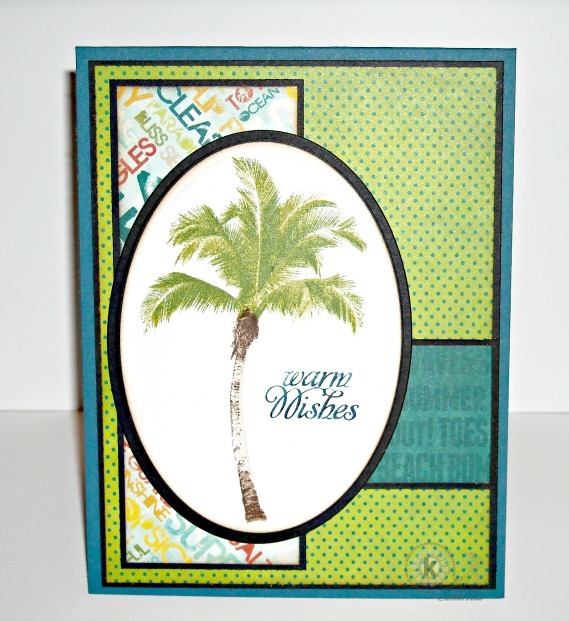 New from Kitchen Sink Stamps - New Stamps, a Sale and Giveaway! Happy Kitchen Sink Stamps Monday! The wait is over, there's FIVE new sets available in the Kitchen today! Before I share the details on the release, I wanted let you know there is a ONE DAY ONLY SALE simply click here, or enter code LISA15 when shopping at Kitchen Sink Stamps, and you can save 15% on all your purchases, you'll also receive FREE Shipping when your order totals $65 or more! This special 15% off sale is only valid through June 10, 2013 Midnight PDT. Don't worry, if you are reading this at a later date, you can always save 10% by clicking here. Here's a few cards I created with some of the June Releases. The videos for the Multi Step Palm Trees, Multi Step Guitar and Multi Step Grizzly Bear Wishes are now posted on YouTube. Along with the new releases, there is a giveaway in the KKS Forums for registered members. For this release the KSS Crew submitted stamp set suggestions to Maria for the release, your job is to match the KSS Crew Member to the Stamp Set that was released this month. The first person to get all matches correctly will win. Winner must be a registered KSS Forum member. The answer must be posted in the forum under the Giveaway Thread to count as valid. Giveaway deadline is Friday, June 14, 2013 - midnight PDT. The winner will be announced at the top of the giveaway thread on Monday, June 17, 2013 - 9:00am PDT. plus, they will get to submit their very own KSS "stamp set wish". This "stamp set wish" will be included in KSS's next stamp release in Sept. 2013.
the winner will receive their finished KSS "stamp set wish" before it's public release. The cards are beautiful. KSS stamps are always so realistic, just look at that bear! These are great cards! 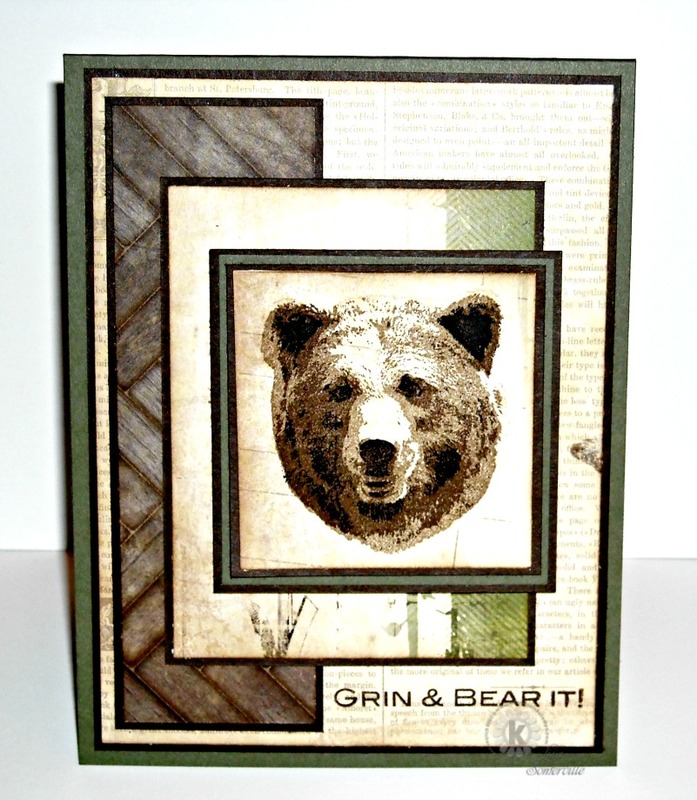 I really like the grizzly bear card! It is so realistic! We saw 2 bears when Dave and I visited Alaska! 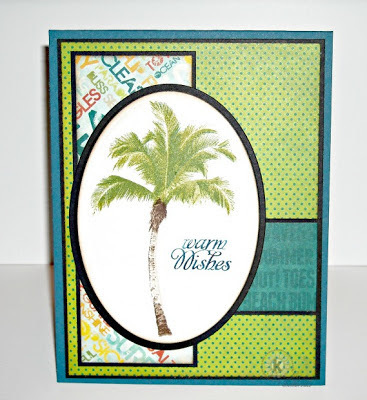 Great looking cards, Lisa! Love that bear, especially. BTW, your recipe card box in the latest issue of Crafts n' Things is terrific!!! 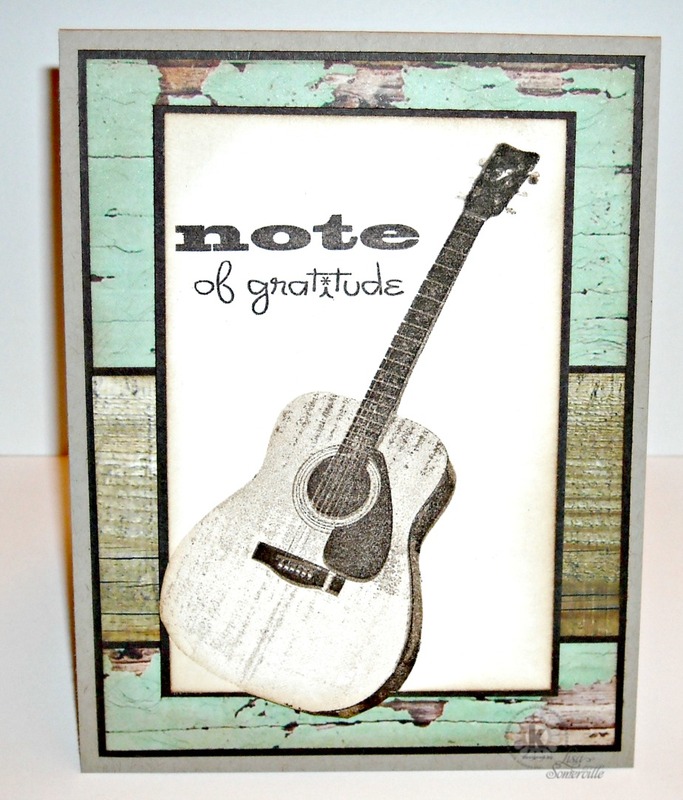 Great cards... the images are so cool, and it's great seeing the layers build up, especially on the guitar - gives it such great dimension! Beautiful work with these new images, Lisa! I love watching your videos! 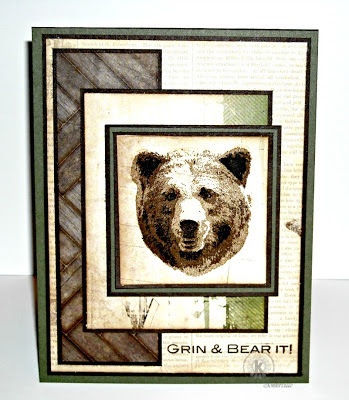 Your gorgeous papers and layout make your grizzly bear a real standout!! Awesome cards, Lisa! And how great that you do those videos! I've got to watch them when I get home from work!